Sage Park Middle School 8th graders stopped during a field trip exploring the history of Colonial Windsor for a lunch break at Bart’s Drive-in Restaurant now with The Beanery. Bart’s part- owner and general manager, Windsor Mayor Donald Trinks (back row) took time to pose for a photo with the class. Sage Park Middle School students in Dar McCormick’s 8th grade social studies class had the opportunity May 18 to explore firsthand the history of their hometown of Windsor, Connecticut. 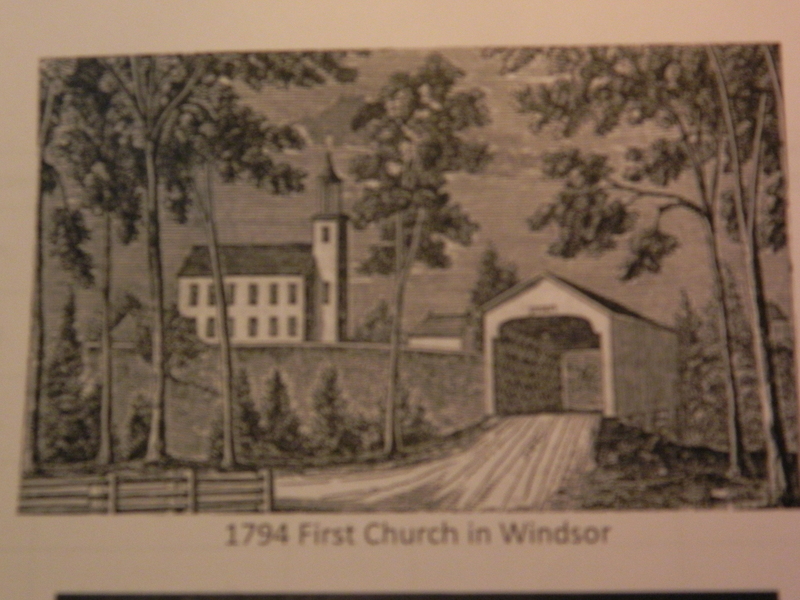 Settled in 1633, Windsor is the oldest town in the state and is rich in the history of the nation and its Colonial past. According to Ms. McCormick, the excursion was originally slated for last autumn but had to be rescheduled due to a fall storm. The field trip featured stops in the town’s Historic District including First Church. Established in the early 17th Century, it is the oldest congregational church in the country and third oldest in the world. In nearby Palisado Cemetery, the students studied the evolution of the grave stones there through the centuries. They were asked to investigate how materials and forms used for gravestones changed over time and which gravestones had religious or secular design elements. As a bonus exercise the students could determine the GPS coordinates for the grave of Rev. Ephraim Huit, said to be the oldest surviving gravestone in Connecticut. At the Dr. Hezekiah Chaffee House, students planned to divide up into groups and role-play, switching so each group could take on the identities of the owners of the house and then the family’s slaves. 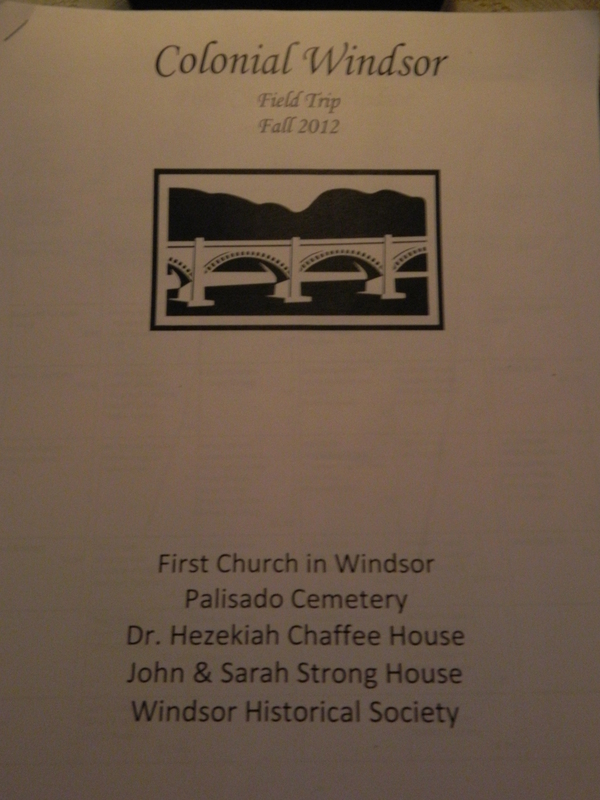 Other stops included the John & Sarah Strong House and the Windsor Historical Society. 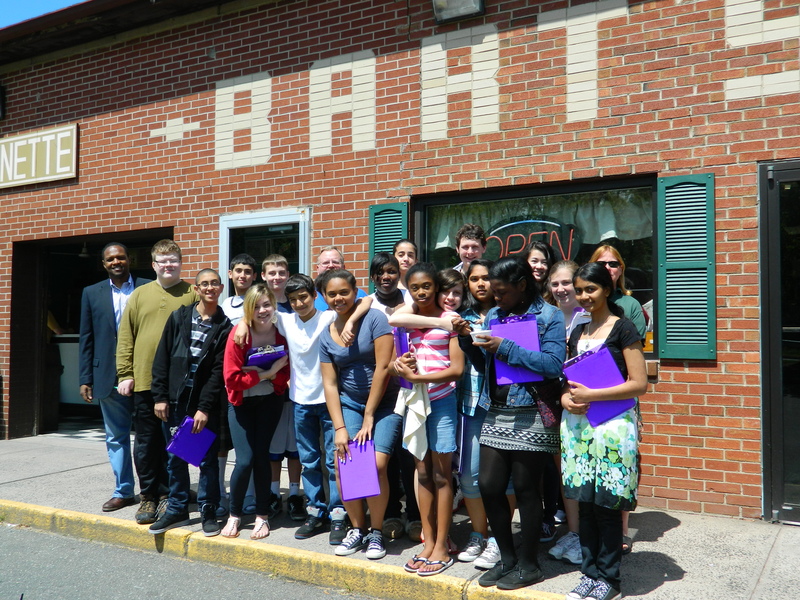 As well, the young people had a chance to blend learning about of the history of Colonial Windsor with experiencing an iconic part of the town’s modern history – a lunch stop at the storied Bart’s Drive-In Restaurant opened in 1946 and now with The Beanery, located on Palisado Avenue by the banks of the Farmington River and bordering the Historic District. Ever the good sport, Mayor Donald Trinks, part-owner and general manager of Bart’s, took time away from working the grill to pose with the students for a photo. 1.What were Windsor’s major agricultural exports in the 19th Century? 2.When did the railroad open in Windsor? What are three benefits of railroad transportation? 3.Where are Windsor’s tobacco leaves sent after being cured? 4.How many bricks did Wilson Brick Company produce in 1906? 6.What type of government system does Windsor use? How many members are on the Town Council?